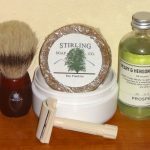 Home Blog What Goes Into a Good Shaving Bowl? 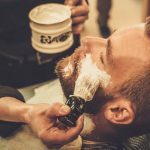 Let’s face it, for a lot of guys, there’s nothing more to shaving than just grabbing a can of shaving cream, lathering your face, dragging a cheap disposable razor across it, rinsing off again, and getting out the door. 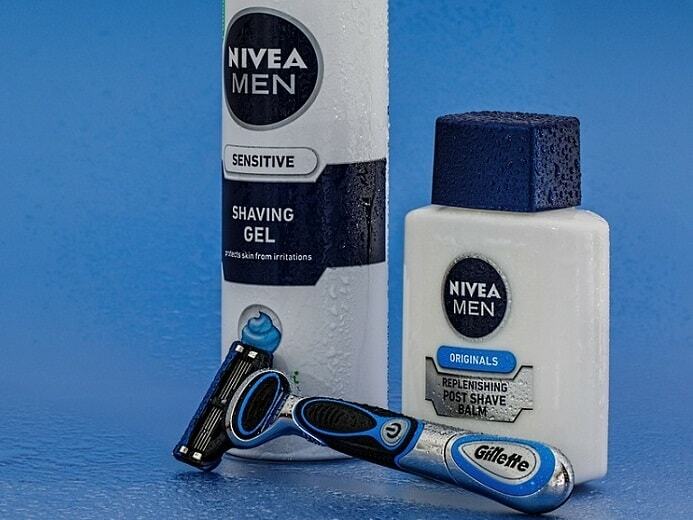 For a truly close and smooth shave, though, a traditional wet shave is the way to go. Sometimes, the shaving bowl is just as important. Granted, a wet shave takes a little more time and is a bit of a ritual. In some cases, it requires more of a financial stake. 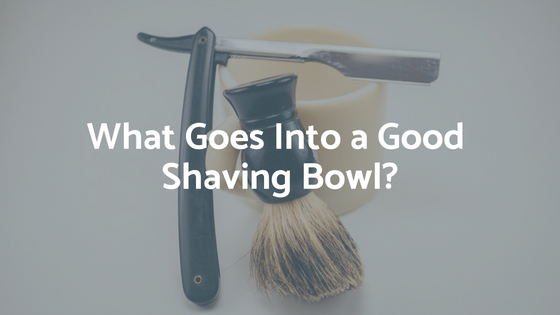 So, Why is the Shaving Bowl so Important? You can argue that the shaving bowl itself is a judgment call, a subjective thing. You’d be right. In the past, these accessories were part of every man’s hygiene kit, at least until the advent of aerosol shaving cream. You can still find plenty of vintage shaving bowls, mugs, and scuttles in antique shops if you look around. Although you’re likely to pay more than you would, for a new accessory. Perhaps the first thing you’ll need to decide is whether you prefer a bowl, a mug, or a scuttle. Granted, you can just use a coffee cup for your bowl, with some soap. But it may not give you the kind of results you want. The mug, bowl, or scuttle has to be sized to hold the puck of shaving soap and there has to be enough water to soften the soap. It makes it easy to build up a lather with the brush. In some cases, the bowl is preferred, since using a mug may end up with more lather than needed. 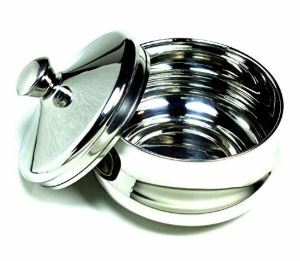 The bowl or scuttle has to be able to retain the heat of hot water. Since nobody likes shaving with lukewarm lather, (and lukewarm water won’t lather well). 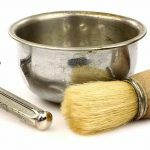 What Material is Best for a Shaving Bowl? Ceramic, china, and stoneware are still preferred materials for the best shaving bowls. Both for aesthetic reasons, and because they can hold the heat of the water and soap better. This allows for a more comfortable shaving experience. The ceramic is more fragile, and can break easily (a serious consideration if you have an antique shaving bowl). If this is a concern, you might consider a steel shaving bowl instead. From Austrian maker Schone, this is a great pick for anyone looking for a durable product that can last for years. There’s something masculine and clean about stainless steel. 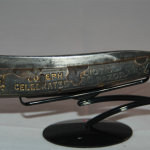 Also, the stylish design of the Schone won’t go out of fashion, or look dated anytime soon. The lid is optional, but a good choice if you prefer to keep the puck of soap in the bowl after shaving. Remember what we said about porcelain shaving bowls being fragile? 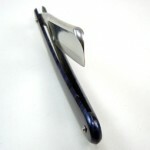 This one is designed with a handle, making it a lot less easy to drop and break. 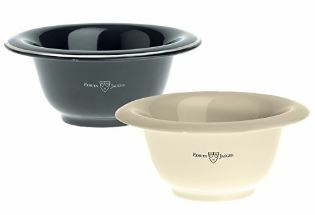 It has thick porcelain to retain heat, and it’s available in several color choices, including cream and black. It’s a little more pricey, but many find it’s worth the extra expense. 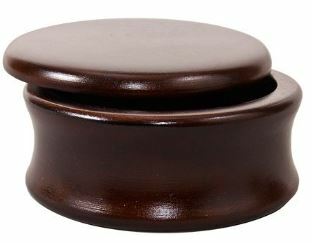 For a genuine wood bowl that has an unusual, beautiful finish, the Parker Safety Razor Mango Wood Shaving Bowl is one of the best shaving bowls we’ve found. It’s also available in a lighter colored Honey Mango finish, and both are pre-varnished and polished for long life. Both feature a lid, and are harvested from one of the most sustainable woods on the planet. 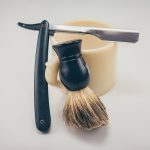 Whether you decide on a shaving bowl, mug, or scuttle, you’ll find out that each has drawbacks and advantages. 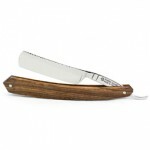 More importantly, you’ll find that using a shaving brush and soap along with a good razor, will give you a better shave. Not to mention a closer and cleaner shave than you’ve had for a long time. 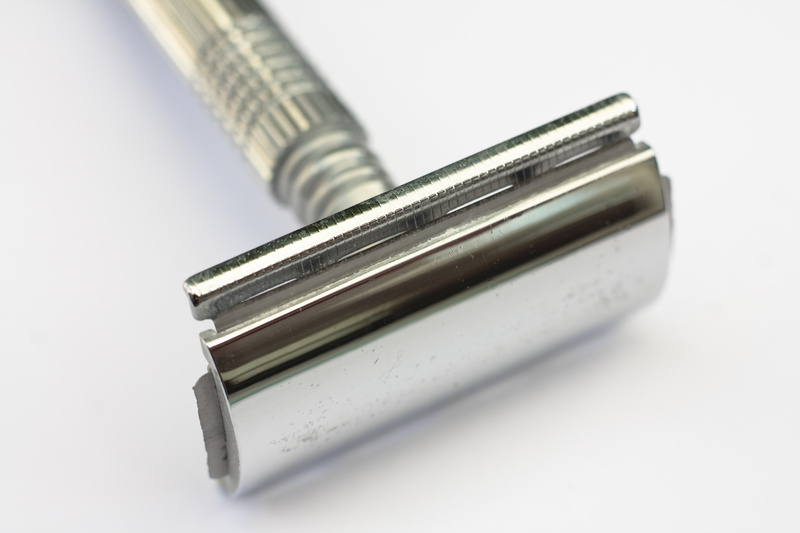 There’s a process involved in shaving like your grandfather did. 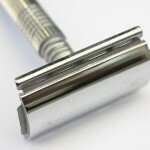 Indeed it takes a little more skill in handling the razor than just using a disposable. Once you’ve gone over to this type of shaving, you’ll soon find that there’s something contemplative and reflective about this process. It gives you a little time to think about your upcoming day. You’ll soon find out that you won’t want to go back to a can of cheap aerosol shaving cream and a disposable razor. 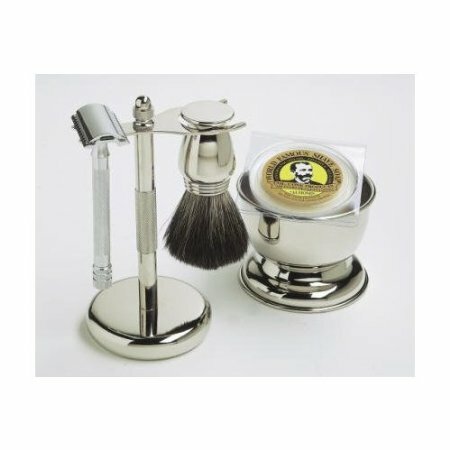 Just make your decisions carefully, and invest in a quality shaving setup consisting of soap, bowl, brush, razor and blades. You might enjoy the ritual of a good wet shave when you have the right setup for it.